People are constantly looking for new effective ways to fight aging and all the consequences that come along with it. iuventus medical center offers the hottest trend in the field of regenerative medicine – platelet-rich plasma (PRP) therapy. The procedure allows you to stimulate healing processes in the affected area, providing a solution for a variety of problems ranging from acne scars to chronic lower back pain. 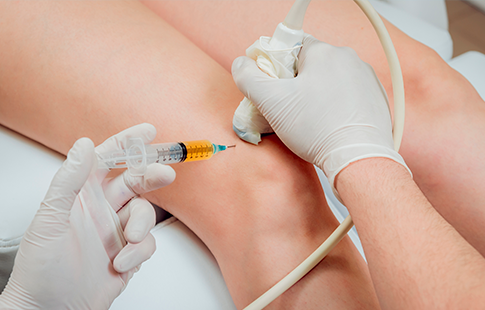 Depending on the area of injection, the cost of PRP therapy can vary. Even though the procedure has not yet been approved by the FDA, it is extremely popular among world-renowned athletes and celebrities who use it for injury recovery and as a powerful rejuvenation treatment. Get a chance to feel like an A-lister at an affordable price – make an appointment for a PRP therapy on face or body at iuventus medical center! Platelets are blood cells that contain protein. The main function of platelets is blood clotting. They are the reason why we don’t bleed out to death every time we get a cut. Same proteins help our wounds heal. The principle of PRP therapy lies in injecting the inflamed areas or damaged tissues with a large amount of platelets to stimulate the regenerating processes. 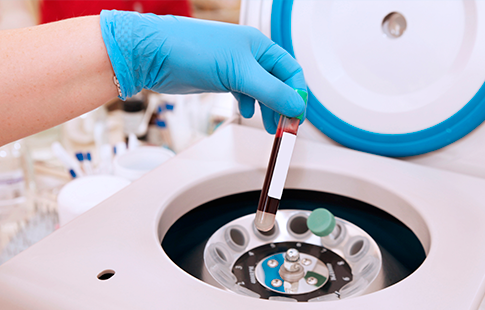 What is more, platelets come from your own blood, making the procedure even more natural. First, a medical staff member takes a small sample of your blood. Then, it is placed into a special centrifuge. When the blood spins at high speed, plasma containing platelets is separated from other components and becomes easy to extract. After that, the PRP is injected into the area of your body that needs treatment. Hair loss can be caused by inflammation, too. So if you have noticed any signs of balding, we recommend trying the innovative PRP treatment at Iuventus medical center! In this case, the platelet-rich plasma will be injected into your scalp to prevent your hair from thinning and stimulate growth. The so-called vampire facial is very popular among the celebrities right now. It is designed to fight scarring, hyperpigmentation as well as age-related skin problems. 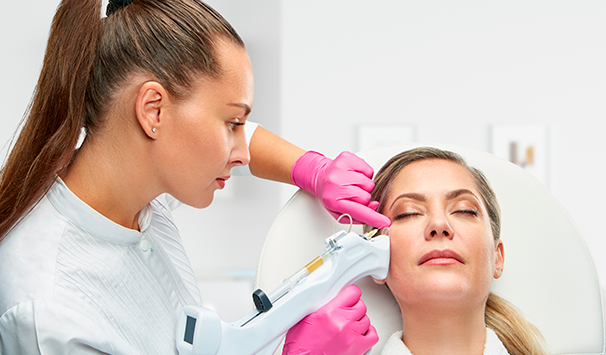 Using PRP therapy on your face will help you finally achieve smooth baby-like skin texture in just a few sessions. The procedure is nearly painless. Prior to it, our doctors will apply a numbing cream and then use microneedles to inject platelets under your skin. As we have already mentioned, platelets boost healing processes in the body. For this reason, PRP therapy is often used to help people restore after back and tendon injuries as well as to treat osteoarthritis. The whole procedure takes around an hour and requires zero downtime. You can resume your usual daily activities right after the medical provider finishes the treatment. However, the injection site can remain swollen for a couple of days. If you want to find out more about the PRP therapy cost, please contact us Monday through Friday 9 a.m. to 5 p.m. and Saturdays 8 a.m. to 12 p.m.